The Facility for Euro-Mediterranean Investment and Partnership (FEMIP) brings together under one roof the whole range of instruments implemented by the European Investment Bank in support of economic development in the Southern Neighbourhood countries. 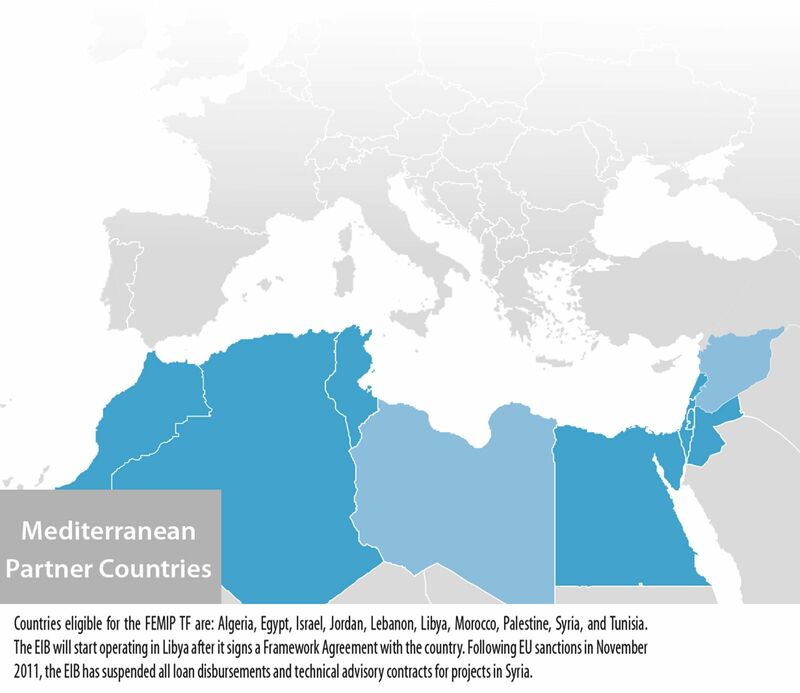 The FEMIP Trust Fund (FTF) is an instrument that complements the EIB’s activities in the Mediterranean region. Whilst substantial investment is required in the EU’s Southern Neighbourhood countries, there is not always sufficient local capacity to prepare and implement operations, and investors are often unwilling or unable to finance preparation or provide seed capital to develop major investment projects. The FTF aims to address these gaps by directing resources to operations in priority sectors, which can be enhanced through the provision of technical assistance or made financially viable via risk capital. human capital, research & development (R&D), and innovation. access to finance (including access to finance assessment studies for enterprises and individuals). targeted private equity operations, including seed capital (for example, investments in fund structures, microfinance institutions). The FTF is governed by the Assembly of Donors, which meets at least once a year. Contributions come from EU Member States and the European Commission. The Assembly of Donors may coordinate with other international financial institutions and authorise third-party contributions to increase impact and reinforce complementarities in line with the guiding principles of the FTF. Operations are first approved by the Bank’s Management Committee, then submitted for approval to the FTF’s governing body, the Assembly of Donors.